Suitable for adults and children over 11. This product is not suitable for pregnant or breast feeding women. A healthy lifestyle and a varied and balanced diet are important. 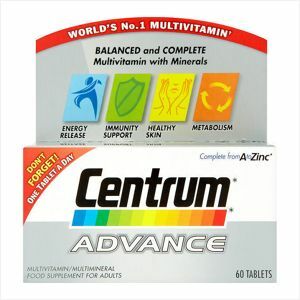 Centrum Advance should not be used as a substitute for a varied diet and a healthy lifestyle.